So guys, it's been a while! I am so glad to be back to writing and to be enjoying it. I'm not sure what the big change has been but I just want to write it all down again and I am starting with our most recent reads. This post is going to be a little different from our other what we're reading posts as I am setting it out a bit differently. 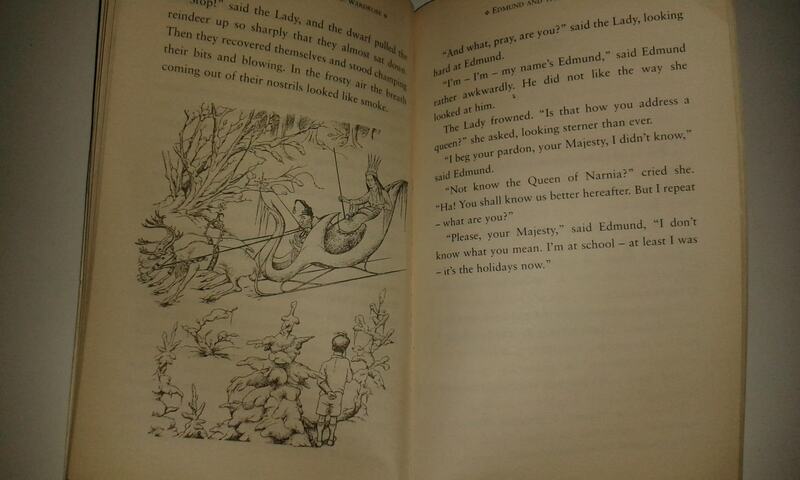 After Christmas we started to read The Chronicles of Narnia which is a personal favourite of mine. 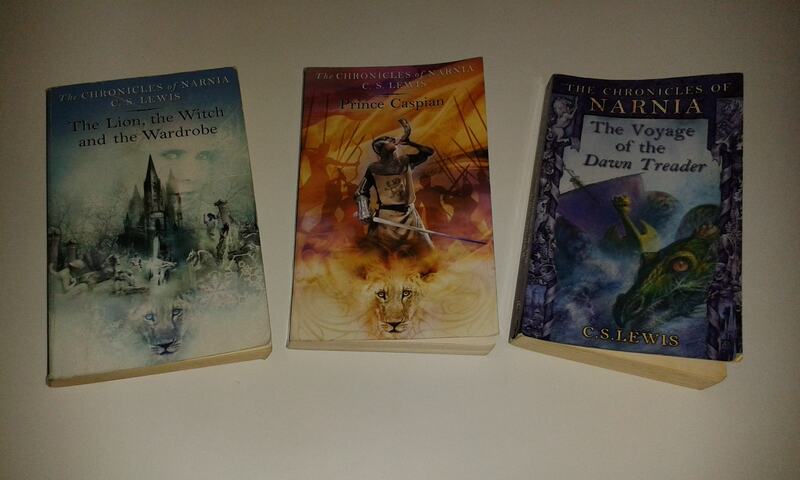 I was reading at a very young age and I never lost my love of Narnia through the years. It's a series that is appealing to both the young and old. I knew that this was going to be a book I would read to my kids. What is even more awesome than the books is that we live in the city where C.S. 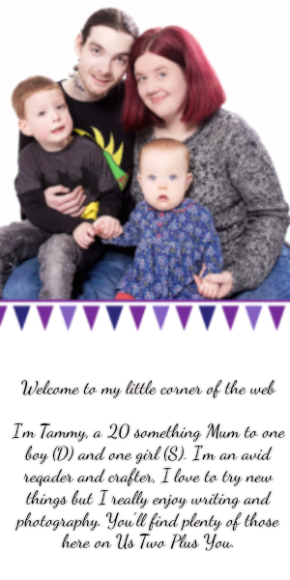 Lewis was born! He was such a wonderful author and scholar that Belfast is very proud to be his birth place. There is even an annual C.S. Lewis event in Belfast to celebrate his life which we will be telling you all about later this year. I wasn't sure at the start if it was to early to start the books as D is still very young and there are many scenes in the books which are violent and detailed. However I decided to give them a go and stop if he didn't seem to like them. The series is mostly aimed at children and is the only series of children's books C.S. Lewis ever wrote. We haven't really been reading them in any order. The book we started with was The Lion, The Witch and The Wardrobe as D has a children's version of the novel with beautiful pictures which I had hoped would be a lovely way to introduce the novels over the next few years. I don't think I was quite prepared for the reaction D had to the book. He loved it and would ask me more than once a day to read it to him. I even caught him trying to tell himself the story too. 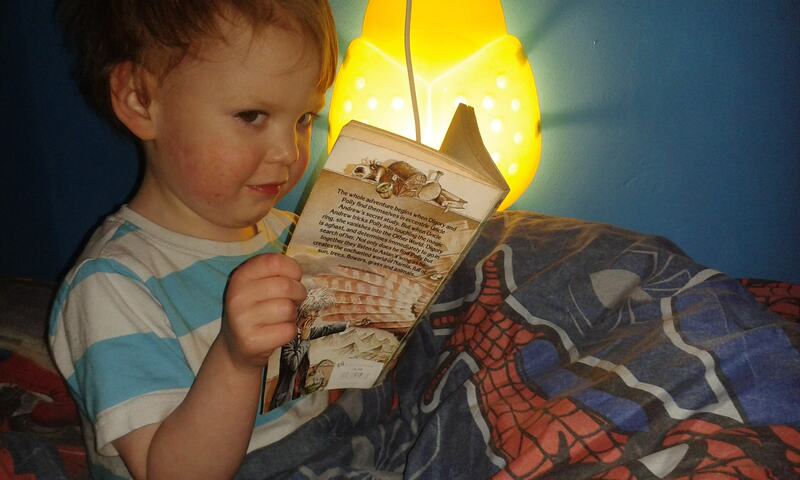 After a few days I thought it would be best to start reading the novel at night as our bedtime story. It was a great decision. The Lion, The Witch and The Wardrobe is s book about four main characters from the start with a few more coming in later on in the book. The four original main characters are called Peter, Susan, Edmund and Lucy. This story starts with how they all slowly discovered the 'world in the wardrobe' which is Narnia. Narnia is home to the talking 'beasts' or animals and the creatures we have heard of in myths. Throughout the story the main characters have a few separate story lines which all align to the outcome. During the time setting of the story, Narnia has been purged into an eternal winter by The White Witch. There as always are two sides to the story which represent the good and the evil. But the real question is can Peter, Susan, Edmund and Lucy end the eternal winter The White Witch has cast upon Narnia for the last hundred years? I guess you will have to read the book to find out. D was immediately entranced with all the goings on of Peter, Susan, Edmund and Lucy. He was actually trying to stay awake as long as he possibly could just to hear what was going to happen next! If you have a child you will know how especially hard that is for a toddler to do while he is lying in bed. There are so many beautiful surroundings in Narnia and each page ignites your imagination to allow you to be absorbed into the book. This was the case even for D. Not long after we started to read the book had D grown attached to each character and talking 'Beast' in the story. He was sharing all the emotions with the characters as I read to him which amazed me. He also started to tell me all about the things that happen in the book and loved to tell everyone he was reading about Peter, Susan, Edmund and Lucy. He was also particularly fond of Mr Tumnus. ( A talking faun in the story) D really seemed to understand what the story was about and was so excited about all the battles and the adventures the children had in Narnia. The second book we read was Prince Caspian. 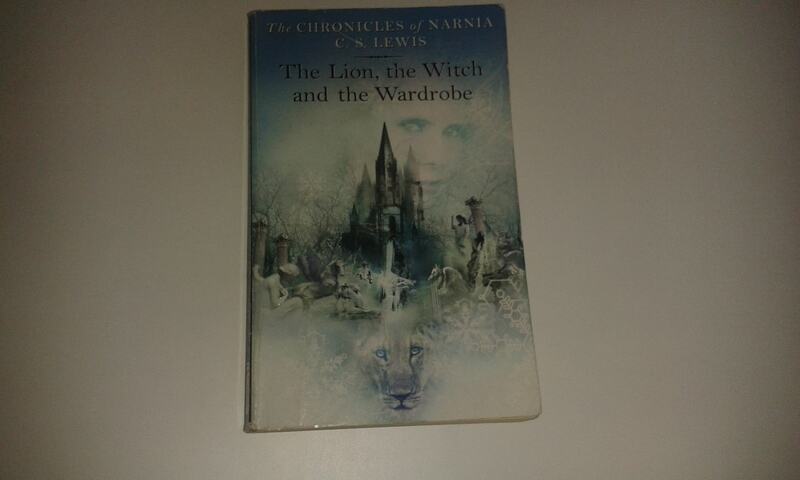 This one is set with the same four characters (Peter, Susan, Edmund and Lucy) a year after The Lion,The Witch and The Wardrobe in our world but its has been thousands of years in Narnia because as you will find out by reading these books time works in different ways between worlds and will not always be in the same time frame. During those thousands of years humans have become the main inhabitants of Narnia and the world much like any other has gone through many dramatic changes as have all types of animals, creatures and humans that live there. This time the narrative changes through a few dynamics as you read along which is barely noticeable to the reader. However it does mean that many parts of the story are told through the view of a character relaying the information to you and this will lead you back through the story of the humans in Narnia and what has happened in the live time of the talking 'beasts' (Yes they still exist and you will meet along the journey). 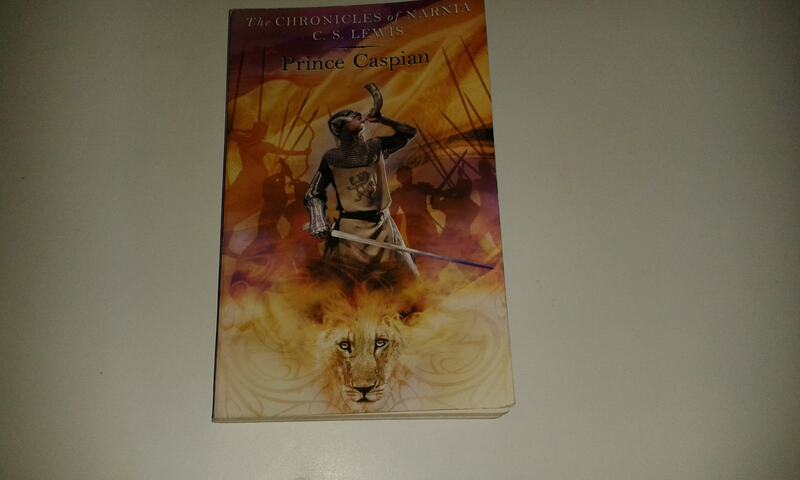 During this book you will follow the characters as they struggle to find their sense of direction in the again unfamiliar world of Narnia as they fight through everything to reach Prince Caspian, The rightful hair to the Narnian throne. Can they win against the odds and save Narnia along with all the Narnians? I was a bit worried that D wouldn't really like this one as many of the talking creature's are gone for a good bit of the story and it is thousands of years after the first visit to Narnia. 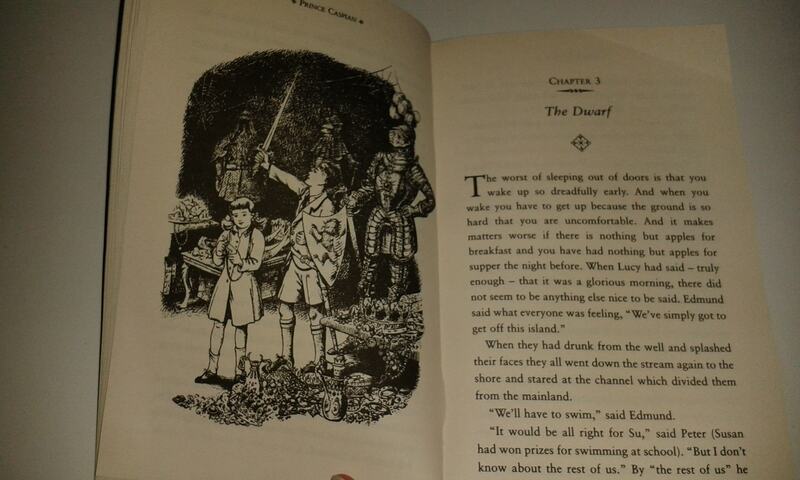 I don't think it really mattered to D as this story was still about Narnia along with Peter, Susan, Edmund and Lucy. Though this book is very much different than The Lion, The Witch and The Wardrobe D was still very interested in the adventure aspect of Prince Caspian and loved that there was lots of new characters to meet. I must say I had to laugh when I read about Aslan returning to Narnia as D got so excited. Aslan is defiantly a favourite of his. This books has it's fair share of battles and excitement all wrapped up in a lovely cover. This book is more about the rise of a true air to the throne of Narnia and the rediscovery of all things 'Narnian' Though a good few chapters are written in the view of a character telling a story it was still a very interesting read and it was delightful to discover Narnia all over again as an adult while I watched D fall in love with these amazing books. 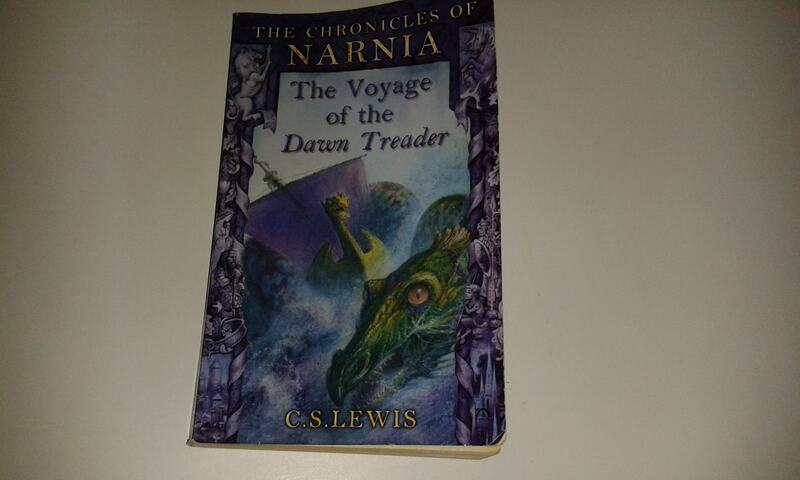 The third book we read in the series was The Voyage Of The Dawn Treader which is a continuation of Prince Caspian and has many of the same characters but this book is set out on a ship at sea in Narnia. During this adventure you will meet again a lot more wonderful characters who prove to be fantastic and interesting people. The whole story line of this book is to find the seven missing lords which you vaguely learn about in Prince Caspian. 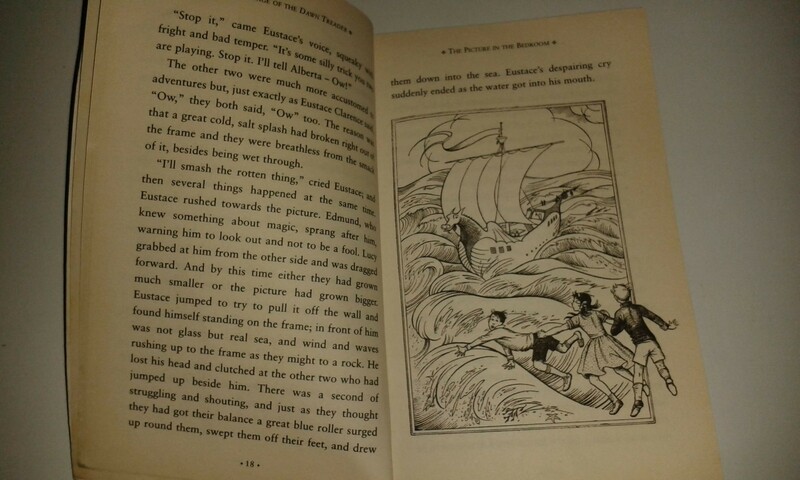 To find these seven lords Prince Caspian must sail with his crew which is joined somewhere along their voyage by Edmund and Lucy along with a new character from our world who is a relation of Edmund and Lucy's called Eustace. Through out the voyage there will be many trials put upon the crew of The Dawn Treader and how they get through these trials as they sail towards the end of the world through unknown and undiscovered seas in their attempt to discover the fates of those seven lords and if they can to bring those lords back to their home in Narnia. What will they find in the unknown seas and can they reach the end of the world of Narnia? D got a bit upset when he found out that Peter and Susan would not be coming to Narnia in the book although they are mentioned a few times throughout the story they are not active characters but rather just in the thoughts of Lucy and Edmund. He just kept saying 'Oh no Susan.' or 'no more Peter'. Which in a way is a good thing as D created a bond with the characters of Narnia in the previous two books and was very caught up in the books from my perspective. It didn't take long for him to get sucked back into the story. In the end I think he looked forward each night to hearing what was just around the corner for all the Narnia characters. He actually started to get into bed and grab the book then sit patiently while I finished brushing my teeth for me to come and read it to him. I must say that this book is a bit 'other worldly' and has many strange yet wonderful mini adventure's the whole way through the book. It really starts to give you a belief in other worlds and the potential of an imagination.